Quick update: Ubuntu Budgie is now officially an Ubuntu flavor. The team behind Ubuntu Budgie aims at making 17.04 (expected in April, 2017) its first release. Initially called Budgie Remix, the Budgie-desktop powered Ubuntu flavor has its first unofficial release back in April (16.04). Budgie Desktop is essentially a shell for GNOME, and it features a libmutter-based window manager (although this will change - thanks Назар for the info), a customizable panel which includes an applet, notification and customization center, as well as a menu that offers both compact and category views. 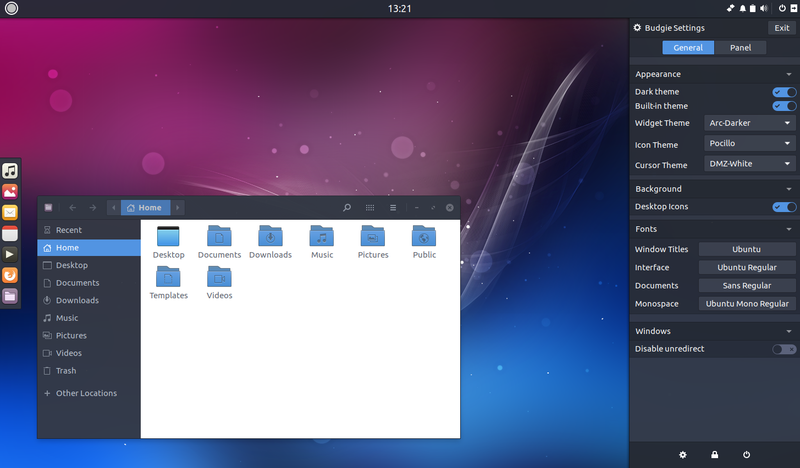 Like Budgie Remix, Ubuntu Budgie should use GNOME applications by default, such as Files (Nautilus), Gedit, and so on, with extras like Plank dock, and various customizations.